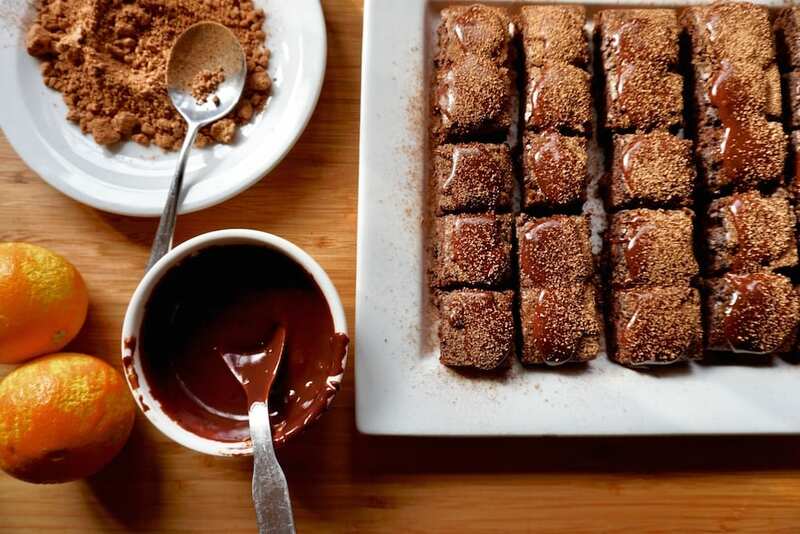 Sometimes only a chocolate cake will satisfy our taste buds’ silent cries for some sweet attention. As someone who prefers not to consume dairy or gluten, I decided to create this dark cacao sponge so that is was gluten & dairy free as well as 100% organic! Warm coconut oil in a steel mixing bowl over boiling water until it is completely liquid. Add the rest of your ingredients and mix together well with a whisk, bar mixer or in a blender. Cool in the fridge while you bake the sponge. Preheat the oven to 170 celsius. Add eggs, vanilla & coconut sugar to mixer and mix on high for 6-7 minutes or until silking and pale. The mix should leave a long stringy like ribbon trail from the mixer when it is pulled out of the mix. Turn the mixer to medium/low speed and add your coconut cream. Once it’s completely mixed in, add your cacao, rice flour, orange zest and finally, baking powder. Leave to cool to room temperature on bench. To add the raw cacao fudge, either pour over the cake and return to fridge to cool before slicing or slice the cake into pieces and add little dollops of the fudge sauce onto each. Serve at room temperature if you would like it to be fluffy and warm or cool from the fridge if you would like it to be a little chewier. Be sure to dust with a little fresh cacao powder and indulge with a cup of peppermint or chai tea in front of a fire. 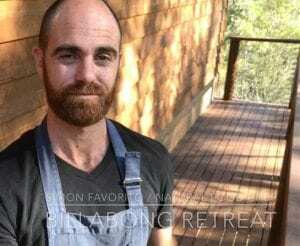 Simon Favorito comes from a lineage of wholefood chefs & has spent over half his life helping people to discover the magic of wholefood medicine through the culinary arts as a chef, a natural health practitioner, coach & teacher. Simon offers conscious event catering, educational courses and personalized coaching that combine natural health principles, wholistic nutritional, modern psychology, traditional & contemporary food philosophy to help individuals create their own life changing food culture.